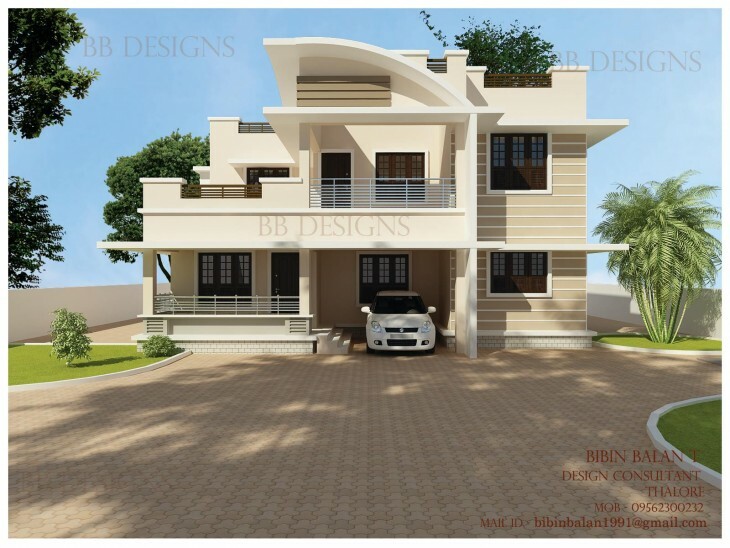 Kerala home design 1754 sq ft idea by Bibin Balan T,Thalore,Thrissur. This 1754 sq ft house exterior design is created for a modern home which includes 3 bedrooms,2 attached toilets,1 common toilet,living,dinning,kitchen,work area,sit out & porch. If you like this House design idea theme - "Kerala home design 1754 sq ft idea" , do take few seconds to share with your friends and relatives . Let them know what you like.